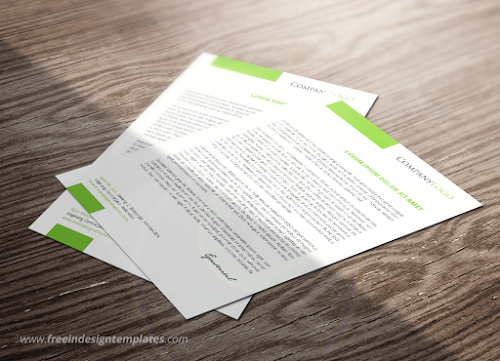 This is my second Indesign Letterhead template. After i add brown shades in my first template, now, i try to make another letterhead template with a green shades. INDD files (CS5 or higher version), JPEG preview, and PDF preview. The font files are not included in package. You can download it by your self.